These are just a few of my recent favorites. My clients this summer have been so inspiring. Shades of teals and oranges have been a recurring theme but we always have some wild cards with all black or gold. Enjoy! This week was a scorcher in San Francisco, but all our cakes made it to their destinations and survived the heat. I'm going to give some credit to the best buttercream recipe around and some serious structure and support that goes on inside all the cakes. Here are just a few of my favorites demonstrating fun piping. This 5 tier wedding cake travelled down to The Rancho Golf Club in San Jose for an elegant wedding coordinated by the wonderful Jimmy Vo of JVoWeddings.com. Adorned with gold filigrees, sugar roses, lace and strung pearls this cake was covered in pale pink fondant and had a little lift filled with ruffled sugar to look like fabric. 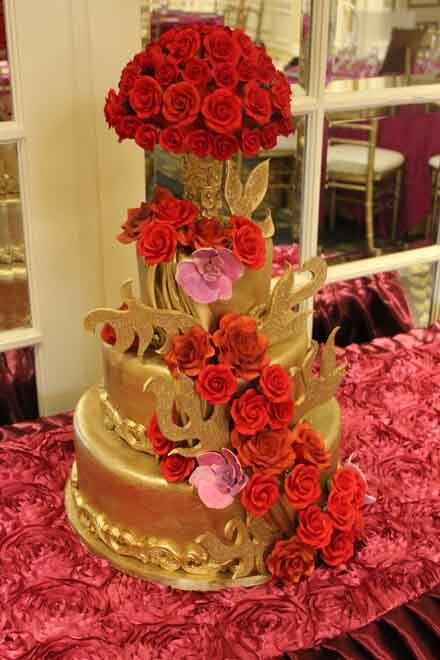 This wedding cake design was inspired from Tinga Tinga art. The birds were seen on the couple's place cards and invitations and the design was also inspired from textiles that the bride had collected in her travels abroad in Africa. I am always honored when my cakes are viewed at the De Young museum. 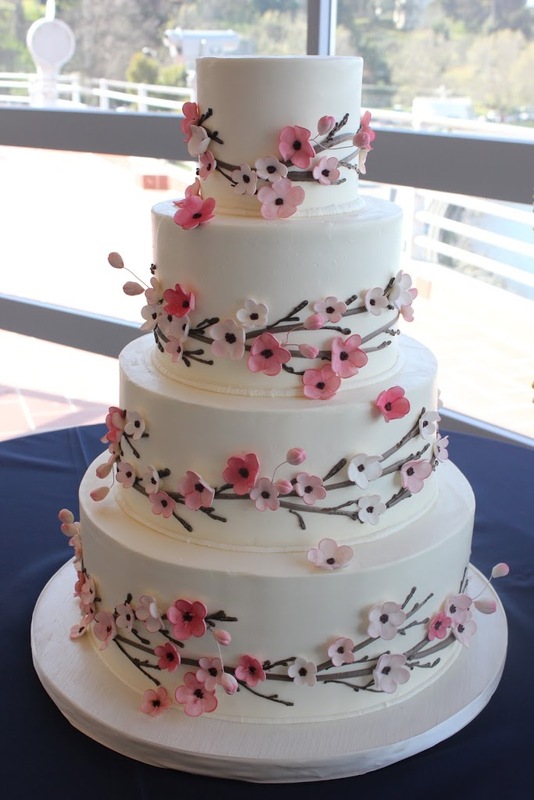 Some wedding cake inspiration for the day...An elegant and simple all white fondant cake with a single sugar flower bloom, a buttercream cherry blossom cake, three tier version of the classic Spanish Lace cake and a fun fabric accessory for a topper. For darker colors like navy and black, I always use fondant since coloring buttercream this dark will turn everyone's mouth blue and black. Not cute for your wedding pictures! Here are a few of my favorites from the past couple months. This sugar peacock cake was assembled from hand painted and hand cut sugar tail feathers. 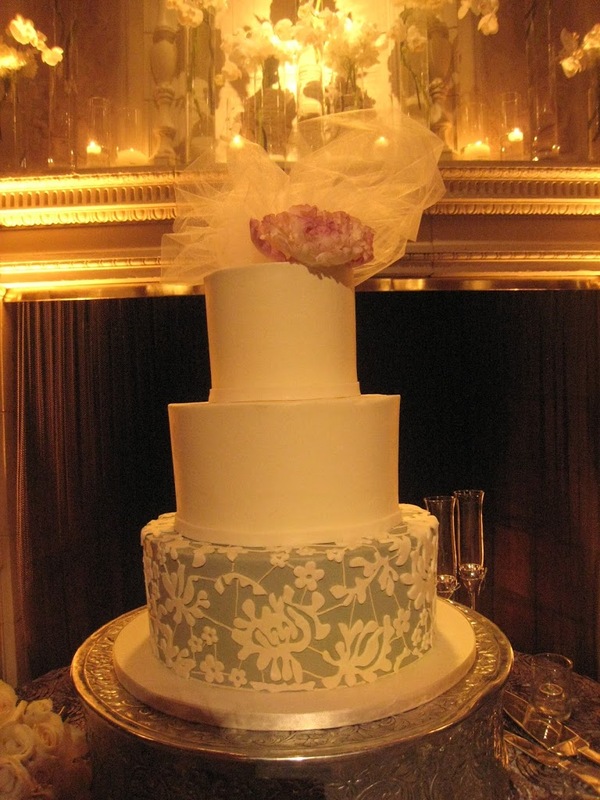 This cake was iced in buttercream with ombre piped buttercream lace inspired from the bride's dress. 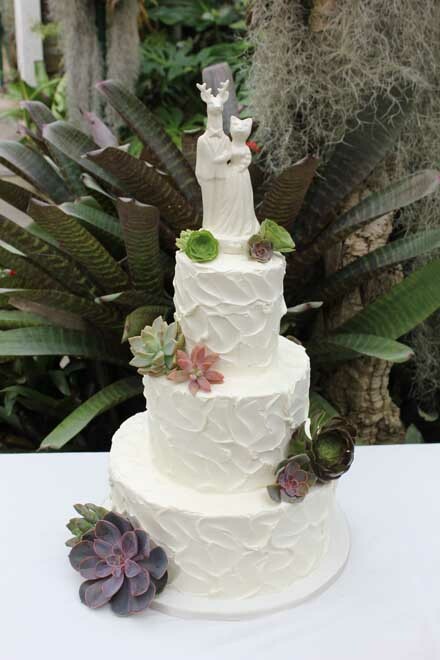 This cake was a recreation of my own wedding cake but in lavender and chocolate colors.